People are the driver and backbone of the dairy industry, so despite the uncertainties of Brexit farmers should concentrate of getting labour right. Speaking at the Dairy Show, Navaratnam Partheeban, specialist dairy vet at the Royal Agricultural University, said one of the biggest factors in remaining productive on any dairy farm is its staff. “Development for workers is really important, so they can progress in the jobs they do and as individuals – they feel they are giving more input into a farm.” Providing staff with career progression opportunities, rewards and recognition, communication and respect – as well as fair pay – are key to running a successful and productive business, he said. But it’s also important that producers look at options to smooth price volatility – which could become even greater after Brexit. 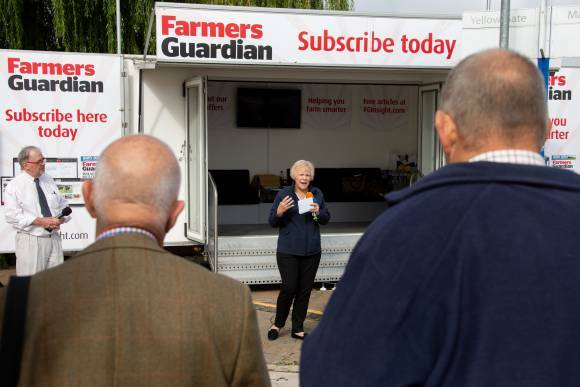 Farmers Guardian’s Speakers Corner saw industry leaders join voices to promote mandatory contract declarations, futures and insurance. A dairy futures market could help producers secure a stable margin, but wouldn’t help those looking to chase the highest price, explained Patty Clayton, senior analyst at AHDB.